Starting with version 2014.3.30, VNCScan will automatically crawl your groups and update the DNS to IP resolution for each computer. In this process, it will also ping the new IP address to ensue that it is alive. If it is alive, it will update the “Last Up” field in the list for that computer. 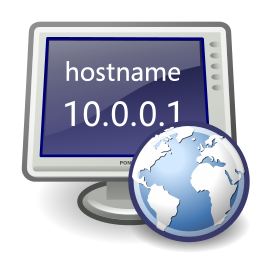 Also, when you use the console to remotely manage a computer using VNC, RDP, scripting, or any other method, a quick forward look up is made to your DNS server to obtain the current IP for the selected hostname(s). Keeping your Managed Computer databases up to date with the correct IP address in a DHCP environment can be challenging. This is just one more step that we’ve taken to make your life a little bit easier. We have heard of rare problems with the background DNS updates if you are using OpenDNS.com on your network and have NX Domain Redirection turned on. We recommend that you disable this feature in OpenDNS; but if you need to have it enabled, you will want to disable the background DNS updates in VNCScan or you may get incorrect IP addresses returned from your DNS server. We have heard of no other issues at this time. In addition to this new feature, VNCScan will also now perform daily backups of your VNCScan database file to the Data folder where the vncscan.mdb resides using the year.month.day format. We look forward to any feedback about this new feature! This entry was posted in Uncategorized and tagged DNS, manage, OpenDNS, Update, vnc. Bookmark the permalink.